Gates open and picnic buffet begins at 6:00 p.m. 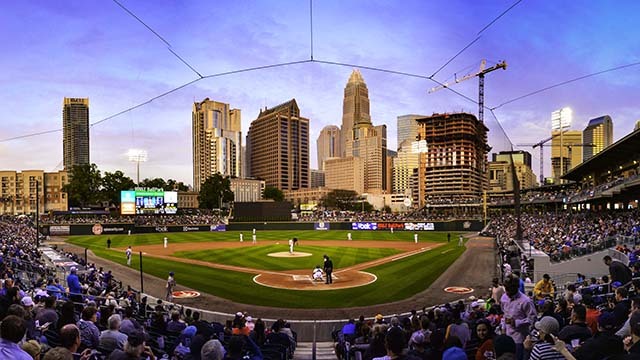 Opening pitch at 7:04 p.m.
Join Furman alumni, parents, and friends for a Charlotte Knights baseball game against Rochester! Tickets grant entry to the Piedmont Natural Gas Picnic Area located in left field. Enjoy a 2 hour all-you-can-eat buffet and cash bar along with an incredible view of the field. The picnic buffet runs from 6:00-8:00 p.m. Purchased tickets will be ready for pick up at the Will Call Office on the day of the game. 0 1 2 3 4 5 6 7 8 9 10 11 12 13 14 15 16 17 18 19 20 Total Participants Attendees: 1 $ 30.00 ea.